Today was definitely one that called for a long walk and whilst I don’t have a dog or any small children readily available for company I do have a lycra clad man with a brand new off road bike that he was extremely keen to take out for a blast. 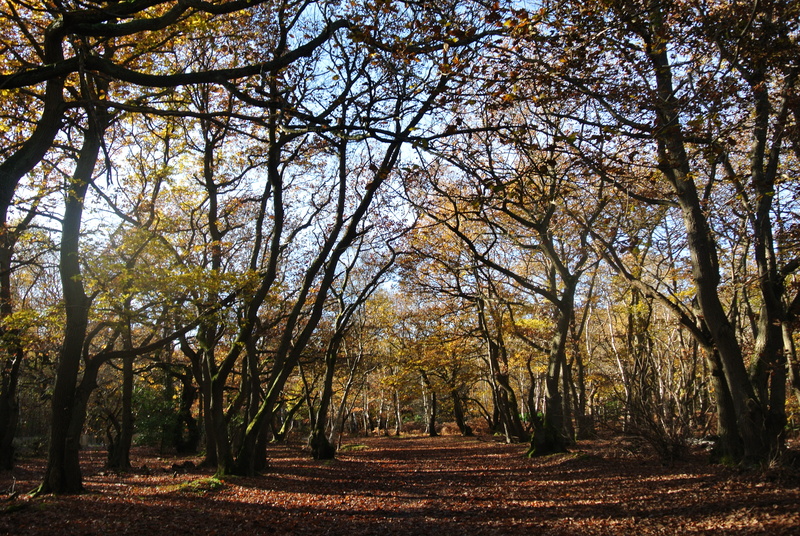 Burnham Beeches, five hundred plus acres of ancient woodland in Buckinghamshire, looks spectacular at this time of the year on the cusps between autumn and winter when the very low sun sets the fading trees alight. It’s a blissfully tranquil place, the sound of falling leaves, almost like rain and the odd snippet of conversation drifting through the trees, house prices, the parlous state of the BBC and one chap, on a hiding to nothing I suspect, trying to convince his partner that a black leather sofa would be just the right thing to match the television cabinet. Just enough of a murmur in the air to let you know that you’re not completely alone. Finished off a couple of hours later with hot chocolate and a bacon sandwich. A perfect day. If you’d like to visit all the information is here and cycling fact sheet here. David I took so many pictures and they were mostly disappointing. I just don’t seem to have the eye or the patience. What a beautiful place. The autumn colours are amazing. It’s stunning Margaret. A really lovely day out. Keen now to see it during the other seasons. 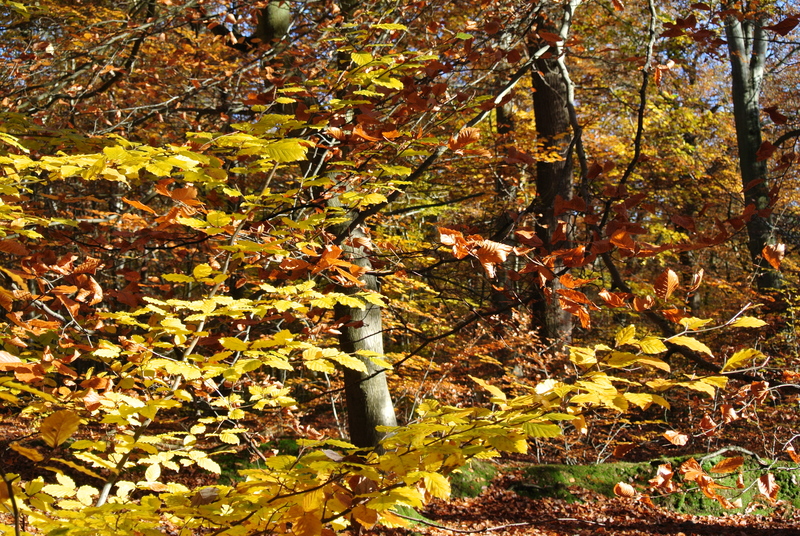 It is lovely to have the opportunity to enjoy the autumn colours, looks like you were just in time. I very much like the last photo! Hi Laila. We went to the same woods at the end of September and everything was still very green. This seems to be the perfect time. Thank you Val. Very much appreciated. 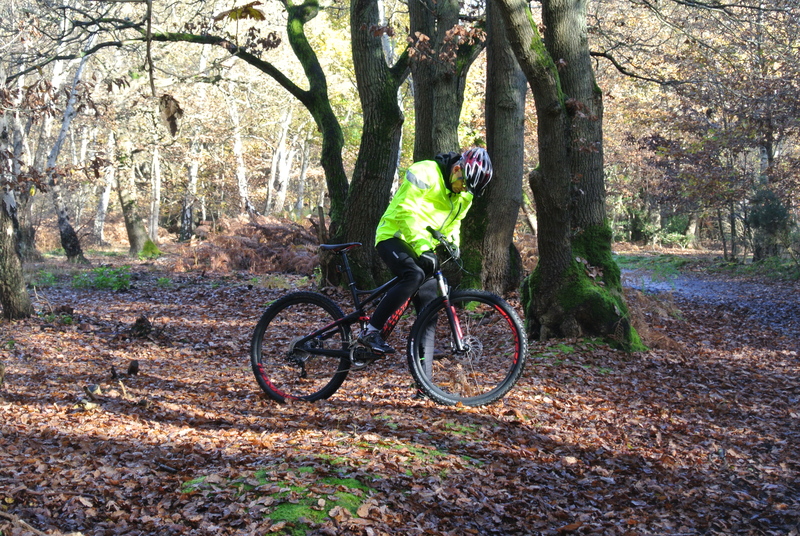 No kids or dog either, and I can’t see my husband donning lycra, but woods look stunning and walk/ride sounds splendid (as does bacon sandwich and hot chocolate). They’re beautiful Naomi, well worth a trip. 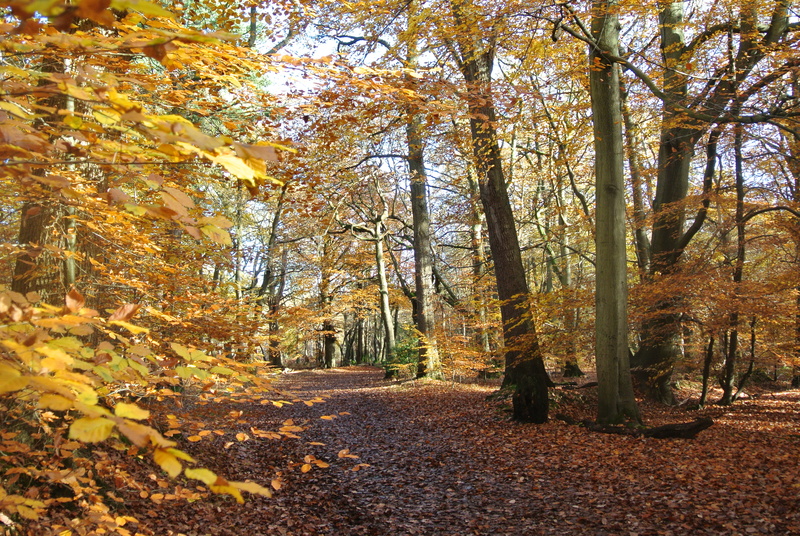 Hi Victoria – I am involved in organising the annual Burnham Beeches Run held at the end of October and came across your fantastic photos of the Beeches on your website. I would like to use them on our website http://www.burnhambeechesrun.co.uk as they are some of the best I’ve come across. I’ve already included them on the home page – but can easliy remove them if you are not happy. Hi Victoria Some lovely pics. 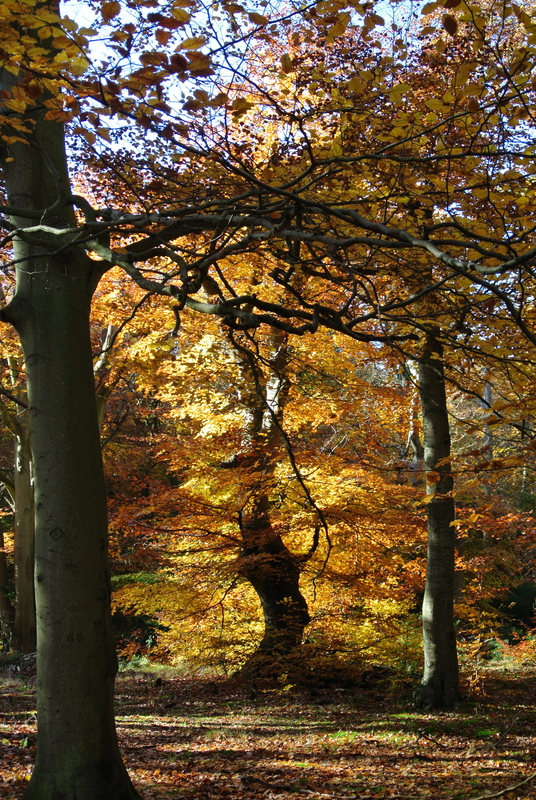 I am advertising a workshop at Burnham Beeches and wondered if I might use one of your photos to promote it on Facebook ? Hi Claire, yes that’s fine.